Yesterday I welcomed a guest writer to the salon and was able to spend the day lounging on the chaise longue eating sweetmeats and drinking tea but today I am back at my bureau, quill in hand. 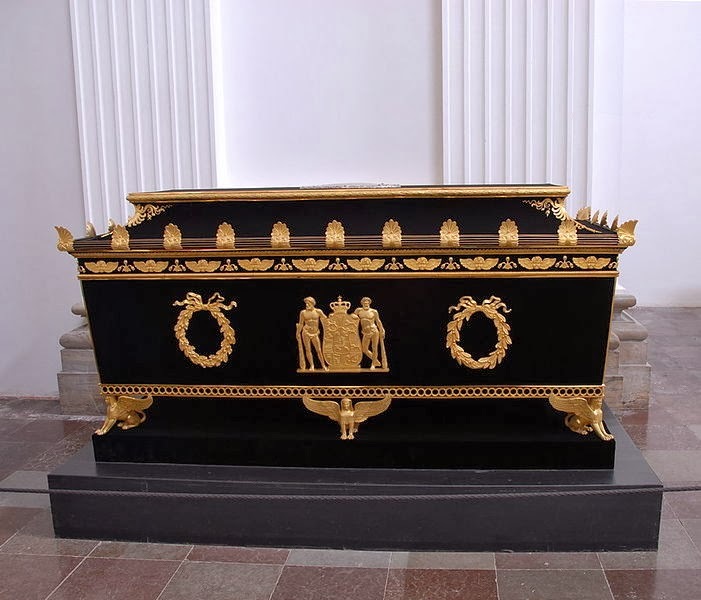 Denmark is a land I have visited on a few occasions and the beauty of the land always astounds, so it is a pleasure to tell the tale of a lady of Denmark, Marie of Hesse-Kassel, Queen consort of Denmark and Norway. Born to Landgrave Charles of Hesse-Kassel and Princess Louise of Denmark, Marie was the great-granddaughter of George II and spent her childhood years in Denmark, where her father held a number of prestigious offices. Marie's place in life was expected to be that of a wife and mother and by the time she was in her early twenties, her cousin, Frederick (later Frederick VI of Denmark) was looking for a suitable spouse. Determined to choose his own wife and prove to his advisors that he was his own man, Frederick chose to marry Marie and the couple were united in a lavish ceremony that took place in Gottorp on 31st July 1790. Having spent virtually all her life in Denmark, the new bride was welcomed with open arms by the public though at court she found herself playing second fiddle to Princess Louise Auguste, her new sister-in-law and her husband's closest friend. 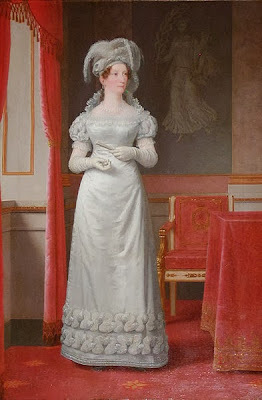 Despite this she settled well into her new life, becoming a popular queen consort of both Denmark and Norway in 1808. Marie found the pressure to produce an heir almost unbearable and she bore her husband eight children, six of whom (including all of their sons) died in infancy. 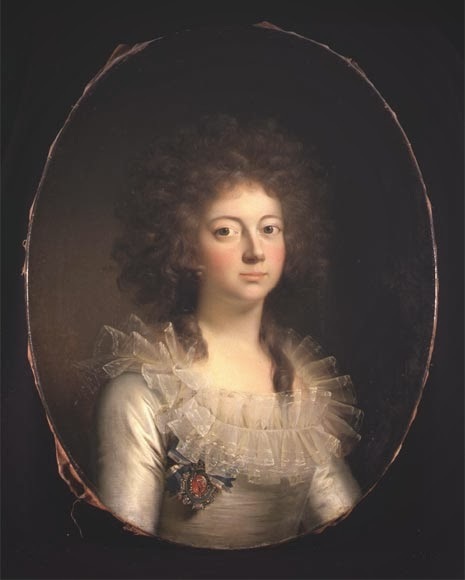 This placed a strain on the royal marriage and Marie's final labour resulted in a serious physical injury that caused her to withdraw from sexual relations with Frederick and he took the far-younger Frederikke Dannemand as a long-term mistress; he would have four children with Frederikke but none of these could be a legitimate heir to the throne. Despite the trials of her personal life, when the Napoleonic Wars called Frederick away from Denmark, Marie proved herself a more than able regent in his absence, steering the country on a steady and untroubled course When Frederick returned she had more than developed a taste for politics and began to write and publish on issues of political interest, establishing herself as a thinker to be reckoned with and remaining one of her husband's most trusted advisors. When her husband died, Marie withdrew from public life and continued to indulge her interests in charitable causes, history and politics. Beloved of the people, she was greatly mourned when she died and was buried amid much ceremony in Roskilde Cathedral. Madame,may we ask you if there is an English equivalent to Landgrave or Margrave/Margravine eg The Wicked Lady Craven? Sadly nothing so exciting; Landgrave is a noble title on a par with a Duke, Margrave is slightly lower in the pecking order! Such turbulent times but a bold move to be 'your own man' in days when I imagine that was quite revolutionary. It's impressive that Marie stepped in to the role of Regent and must have commanded a considerable amount of respect in his absence. Absolutely; she was more successful in the role than some who had been trained their whole lives to rule!